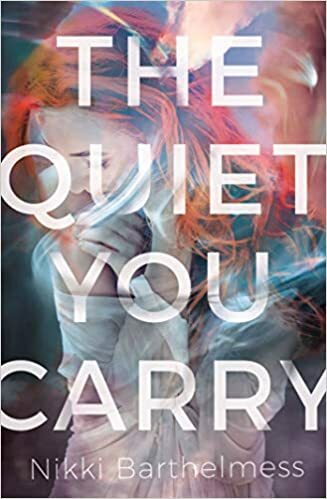 Nikki Barthelmess’s debut novel The Quiet You Carry is a serious drama that follows teenage protagonist, Victoria Parker, as she negotiates the foster care system. Victoria is a hardworking student who lost her mother to cancer when she was a young teenager. Her father remarried and Victoria lives with him as well as her step-mother and step-sister. One night her father abruptly throws her out of their home, which is where the book begins. Once in the foster care system, Victoria ends up struggling to finish her senior year of high school in a small town. She lives with a rule-oriented and emotionally unavailable foster mother, the foster mother’s toddler, and two other children in the foster care system. For much of the text, Victoria is unable and unwilling to articulate what prompted her father to kick her out, and the story pivots around her ability to process her painful memories and adjust to her new life. Barthelmess does a wonderful job creating believable personalities and situations. She humanizes even minor characters, refusing to create angels or demons. Well, there are a couple of characters who are pretty angelic, but it works. This is an emotionally mature text, at the same time it is clearly written for and accessible to a teenage audience. There are not nearly enough books for young audiences dealing honestly, and hopefully, with the foster care system, as well as various forms of mental and physical abuse. The Quiet You Carry is a well-paced drama sure to engage teen readers. I received a free EBook via NetGalley.